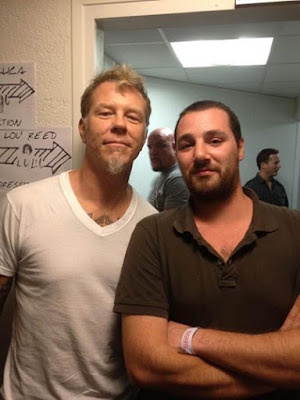 Mercury Records international product manager Thomas Ayad, who worked with Metallica, was killed in terrorist attacks in Paris. Metallica said in a statement: "We had great fortune to work with Thomas Ayad at Universal Music France for the past eight years and while Thomas had the official title of being our 'project manager,' we knew him as a member of our Metallica family, a fan, a friend… and a warm, helpful, supportive familiar face each time we visited France. Friday we lost Thomas, at the Bataclan theatre, in a way that none of us can begin to comprehend. Our thoughts are with Thomas' friends, family, co-workers and all Parisians during these very difficult times."